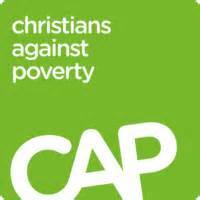 The Chapel of Unity community has set up regular monthly prayer sessions to support Christian social service across Coventry. 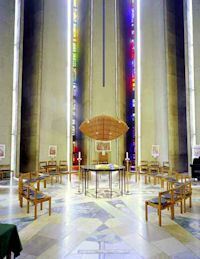 These are held in the Chapel of Unity from 4 pm to 5 pm on the first Monday of the month (excepting Bank Holidays). All who wish to pray with us will be welcome! To build up a picture of what is happening citywide, so that we can be united in prayer support, each month we are inviting a representative from a city church or Christian organisation to tell us about their involvement in serving the needs of the city (about 20 minutes) before we spend the rest of the hour praying for those projects. Jess Day-Pollard told us about Good Neighbours – a new project of support for older people, a partnership between Hope Coventry, Together for Change and Age UK. Prayer was requested for the roll-out of the project across the city, for volunteers from the churches to come forward. Greg Bartlem spoke about the work of Coffee Tots, Urban Hope and Bardsley Youth. It was inspiring to hear how each aspect of this pioneering ministry began by observation of a perceived need: young people needing a safe place off the streets to be listened to; young mothers needing a place to meet for mutual support; and other needy people being offered practical and spiritual support and encouragement. 4) For Greg, his wife Catherine, and other members of the team dealing with the pressures and demands of ministering to needy people. Project Co-ordinator Matt Robinson spoke about Fresh Start – a new initiative pioneered by Together for Change, seeking to mobilise churches in the Coventry Diocese to both befriend and provide practical support to people from different cultural backgrounds. For childcare/crèche volunteers to enable mothers to attend conversation sessions.